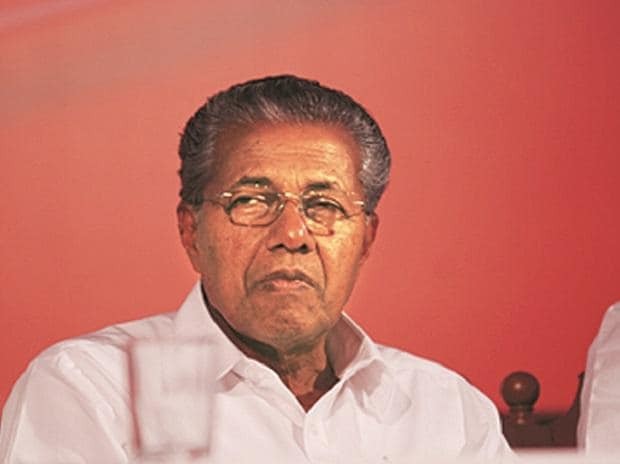 Kerala Chief Minister Pinarayi Vijayan Monday slammed a woman IPS officer who searched the office of the ruling CPIM) here, saying some vested interests had a tendency to "tarnish" the image of those in politics. His criticism comes amid a raging row over the LDF government ordering a departmental probe against the young officer Chaitra Teresa John after she came to the CPI(M)'s district office here on January 24 midnight in search of some accused in a case. A police team, led by Chaitra, had come tracing some leaders of DYFI, the youth wing of CPI(M), who were reportedly involved in the alleged stone pelting of a police station in the city,following which a probe had been ordered against her, based on the complaint of the party district leaders. While replying to a submission on the issue in the state assembly, Vijayan said such raids were not usually carried out at the party offices in the state. It was necessary in a democratic society to create a conducive environment for the smooth functioning of party offices and the safeguarding of such institutions was generally viewed as the duty of the police, he said. "Some vested interests have an inclination to tarnish the image of those in politics and there have been occasions when some people have fallen for such tendencies. A democratic society can go forward only after rectifying such outlooks," he said,adding that the government was viewing the search at the CPI(M) party office with the same approach. A complaint had been received from the party district secretary in this connection and it was the responsibility of a government to consider it with seriousness in a democratic society, he said. "So the DGP has been directed to carry out a probe into the complaint. The government's policy is to ensure a smooth environment where all political parties can function freely. The government will take appropriate action if anyone adopts a stand different from it," the Chief Minister added. Presenting the issue as a submission in the House, Opposition leader Ramesh Chennithala said the search was legal and any action against the officer would send a wrong message and amounted to demoralising the police force.